ORLANDO, Fla. (January 3, 2017) – After a memorable rescue from a storm pipe in Jacksonville, Florida, a female manatee began her new year by returning to the wild. Her return marked the end of her rescue adventure and the beginning of a new chapter in her story. The manatee, nicknamed Venetia, was released at Blue Spring State Park at 11:30 a.m. this morning. Venetia was originally rescued on November 30, 2016. It took several hours to free her from the storm pipe. 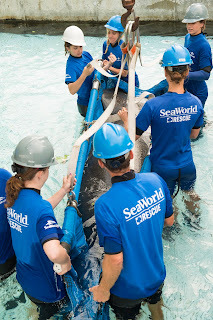 She was then transported to SeaWorld Orlando for full rehabilitation. SeaWorld’s Animal Rescue Team and veterinarians began to care for Venetia the moment she arrived. During that time she received regular physicals and checkups to monitor her health and progress. 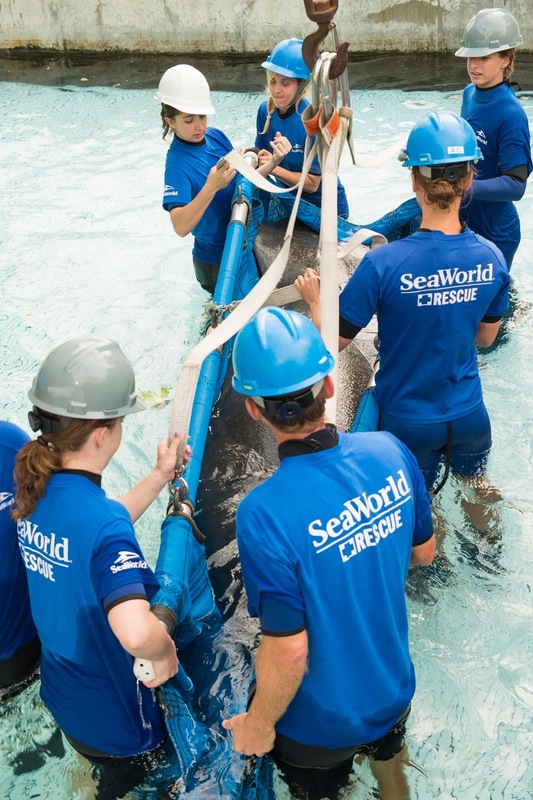 SeaWorld’s Animal Rescue Team transported her to the park and Florida Fish and Wildlife Conservation Commission (FWC) was onsite. SeaWorld Parks & Entertainment operates one of the world’s most respected programs to rescue marine animals, with the goal to rehabilitate and return to the ocean. SeaWorld animal experts have helped more than 29,000 animals in need – ill, injured, orphaned and abandoned – for more than 50 years. Venetia was the first manatee to be released in 2017.